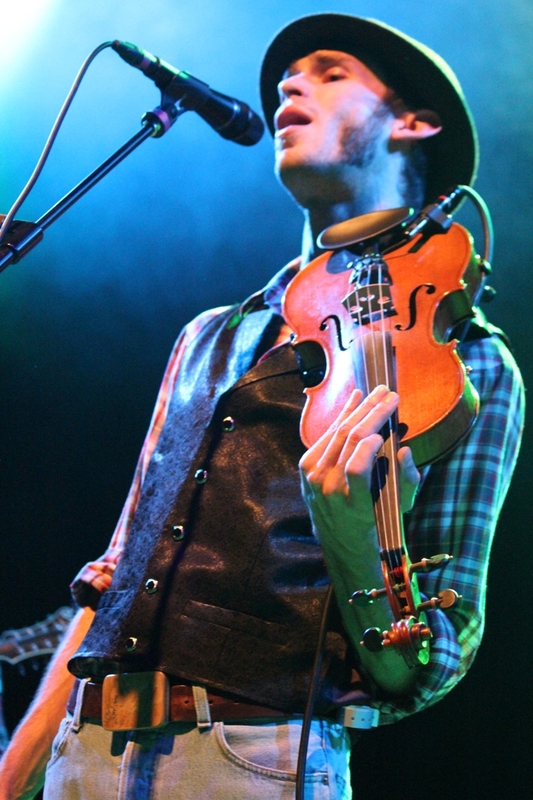 The Grateful Web just had an opportunity to speak with Joe Lessard, fiddle-player for Fort Collins based 'newgrass' act, Head for the Hills. 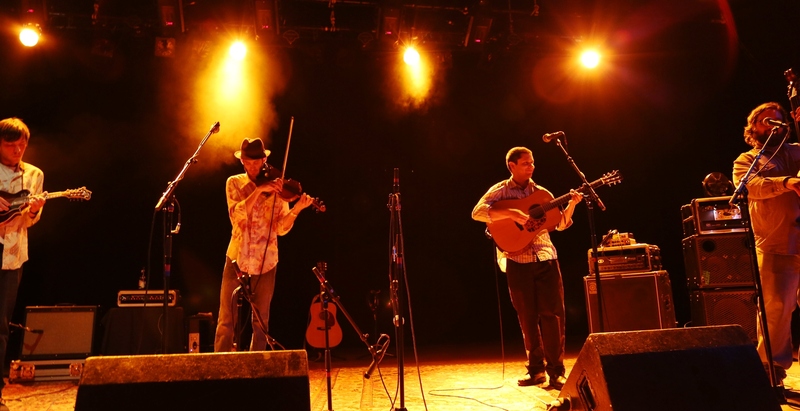 Joe talked with us about Head for the Hills' early beginnings at Colorado State University, why Colorado is a mecca for bluegrass and acoustic music, playing with bluegrass legends, and why now is the time for the band to release their first official live album. 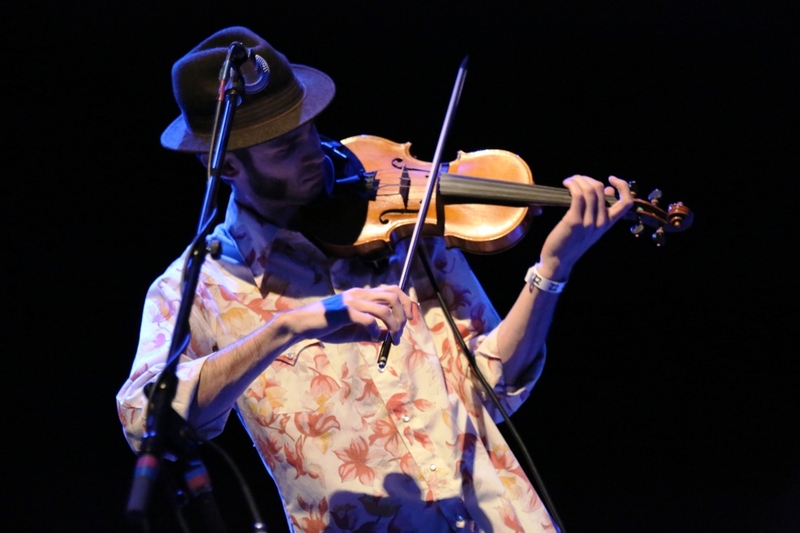 GW: This is Dylan Muhlberg of Grateful Web here with Joe Lessard, who is best known as the fiddle player and vocalist for Colorado’s own bluegrass outfit Head for the Hills. Joe, Thank you so much for joining us today. JL: Yeah, thanks for having me. GW: Of course. So, lets talk for a minute about the beginning. Head for the Hills was born in Fort Collins, Colorado in the early 2000s. Can you talk a little bit about how you got together? JL: Yeah. Well were all kind of new to our instruments in the bluegrass context. At least the three of us excluding Mike Chappell, our mandolin player, were enrolled in Colorado State University. We just kind of met on a shared love for this kind of music and kind of a new found enthusiasm for at least a couple of us. We started practicing in a dorm room and playing shows in people’s backyard and sandwich shops, wherever else we could in the early days. Building very naturally as most bands. GW: Sure. Obviously since then the band has massively grown in popularity with great grassroots support from not only Fort Collins or Boulder but really the entire Front Range. What do you think it is about Colorado in particular that fosters a strong support of bluegrass? JL: You know, as many times as I’ve been asked this [laughs], it’s something in the water man, or lack of it. It’s weird. It’s kind of crazy how much of a scene there has been for at least the last twenty or twenty-five years here now. So now when you think about how this Leftover Salmon kind of reunion, they’re putting it back together, then the String Cheese Incident still rocking it. All these bands whether they’re playing straight-ahead bluegrass or not have still built an insane scene. We credit a lot of it, the biggest thing is the fans, and friends and families are the biggest group of people to thanks. We’ve gotten a lot of nods and made friendships with basically the people that made us want to do this in the first place. And like we were talking about a lot of them live here in the Front Range area. We’ve been able to get in the scene with the Bill Nershis and Drew Emmitts of the world. It’s been really good for us and they’ve really brought us in on a lot of shows. We’ve gotten to do a lot of fun shows and ridiculous collaborations since we started doing this. We feel really blessed. GW: Absolutely. One of my favorites, I think it was last year a saw you fellas playing with Peter Rowan and jamming on “Midnight Moonlight” it was just such a special treat seeing you with one of the legends and doing it such justice. So, as far as “traditional bluegrass” goes, Head from the Hills certainly strays from the category of the Bill Monroe style. 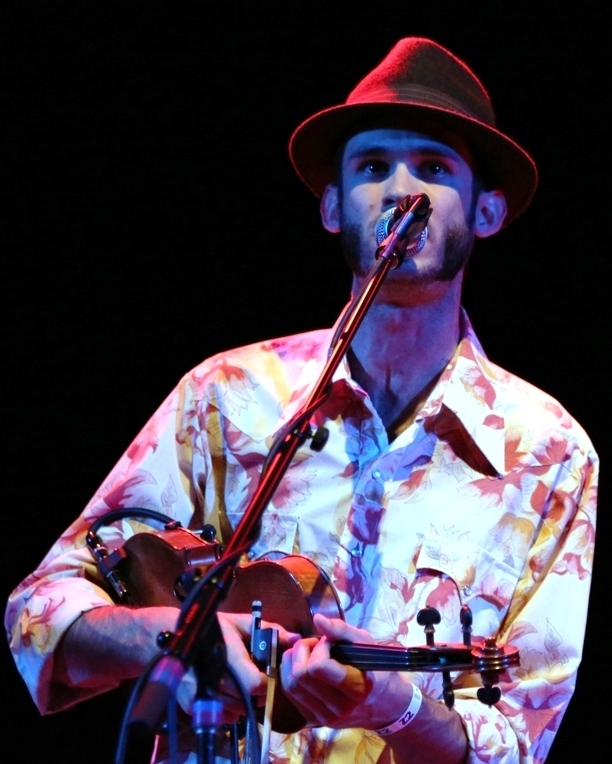 What do you think it is about your style that differentiates you from traditional bluegrass? JL: What differentiates us is that really none of us were raised in that tradition or particularly interested having what we do be traditional bluegrass because there’s many excellent traditional bluegrass bands and they do that very well. So for us having not been really trained in that or having it be our main passion in string music, we love all that stuff. It might not necessarily be the stuff that most important to our actually band’s development and expression. We do play some traditional bluegrass tunes, but we leave that stuff alone because we want to explore other genres and our interest in other genres through our string instruments. For us maybe it’s more fun trying to tackle White Stripes, Ween, or Peter Gabriel or whatever it may be than when we know that there are probably not a whole lot of other bands with our instrumentation are doing those songs, whereas we can be sure that other bands with our instrumentation are going to be playing “Jerusalem Ridge” by Bill Monroe. We want to know all those tunes and have that in the back of our minds, but also know that we are not the people to pick traditional bluegrass, or to carry that torch as much. Were coming from a bit of a different background. GW: Regardless it all blends together effortlessly. Personally, I know you from way back from the Boulder underground hip-hop community. I’ve seen you incorporate hip-hop elements as part of the Head for the Hills show. How did you come about incorporation this unique collaboration? JL: It’s interesting. I’ve always tried not to force any melding of genres or a style in a way that I feel is forced at all. I do have these interests in all different kinds of music. For me my songwriting lately has been about fusing this lyrical sensibility that I’ve learned from years of writing rhymes and stuff to more of a songwriterly thing that fits with the strings a little more. Not that there was a problem with us covering “Rappers Delight” back in the day. Were trying to fuse the worlds more seamlessly. That also goes for Whiskey Blanket, our last release has Bonnie Payne from Elephant Revival, and I’ve been talking with Anders Beck from Greensky Bluegrass trying to get him on our next release. Kind of just get people that are interested in different kinds of music in my different projects. And that gives me ideas about how to meld styles appropriately in my own projects. It’s fun, its tough for me to describe the process. But it’s unique and natural to me. Everyone in Head for the Hills has very wide-reaching and varied influences and styles. I just happen to be the one who has another project that happens to be very different. At the same time we’ve gotten closer, Whiskey Blanket played our first bluegrass festival last year. It’s easier to fuse worlds every year. GW: Well, Newgrass in the seventies with John Hartford and Sam Bush was all very experimental and new so its all really fair game. Lets talk about your new exciting live release simply entitled “Live”, which I’ve had the pleasure of listening to. It’s interesting to me that this; in 2012 is your first live release. I’ve been listening to your guy’s shows on the archive for years now. So, why wait till now for this live release? JL: Good question. So this isn’t technically our first live release, but we put it out very unofficially so I guess we could call this our debut. We had one that I drew the cover for and photocopied all of these, cut them out and put them in little sleeves. It was called “Look Alive”. It had like nine songs of something. Technically we tried to do something to wet people’s appetite for the live stuff. We realize forever now that our band is very driven by the live experience and we want to share that with people. Our last studio album was definitely centered around trying to get the feel of what we do live. So the answer really is that this is the first time we could do it, that we had the resources. Taking the time to recording this group of shows. We’re picky. We’re not just going to through out one show that was multi-tracked. We really wanted to pick from a bunch of shows representative of different nights. So, it was fun for us and it was a long process. So the answer was that we felt like we needed to release that for years now like you’ve been saying. It was the time that we finally had some shows recorded. And we’re between studio releases so it was very nessesary for us to get something our there. We’re very excited to get this out to people. I was also stoked because I got to do the graphic design [on the cover] and pulled pictures from fun shows and all that, hoping to make it feel like the show experience. GW: I think fans are going to be thrilled to hear it! Jon O’Leary was the sound-tech, who also works the board at many of your shows. First started with String Cheese way back when. Could you talk about his input with your live project? JL: Yeah, he was great and informed the whole direction of us thinking about making a live recording. “This is how you guys need to do it”. He’s been good about expressing about how they built String Cheese as really representing themselves sonically, very accurately, and consistently each night. And they did that by bringing a tech with them everywhere. So that kind of what we’re doing. Trying to make our sound huge and consistent. Having him doing the actual mixing of those shows. The actually tracking was done by Jim Minma, who’s a good friend of John’s, who actually took some photos for the booklet. It was a fun family project. John really helped us in the mixing and post-production process. Really the whole approach because of his amount of experience with these great bands. GW: One more question for you regarding the upcoming 39th Telluride Bluegrass Festival. Very exciting that you guys are playing the Main Stage for the first time. I just wanted a word on that from you and the band. JL: Needless to say we’re pretty thrilled about this. We did the band competition in 2007. Another example of “We’re really not a bluegrass band.” We really tried to conform to their rules and the band that actually won that year totally didn’t follow the rules. One of the songs they played was a classical cover that I recognized but I’m sure none of the judges recognized it as a cover. And we asked ourselves “Why did we work so hard to follow these rules?” [laughs]. It one of those things where we’ve gone every year for so long. Mike and Adam, this will be their tenth consecutive year at the festival. To be up on that stage after that amount of time is so exciting. We’re gonna play some of our new material for that crowd and just be involved in the event that we’ve been paying for years. It’s such a worthwhile event that we had a condo and were thinking about tickets before we got the confirmation call and the invite. “Oh wait, now we might get some free lodging after all!” We’re so stoked to be involved in the whole thing, wandering around with some of those musicians and trying to watch their hands. We’ll be side-stage staring at people’s fingers as close as we can pick up the tricks that we can. GW: Your Fly Me To The Moon set was consistently a highlight of the festival for me. It’s so great to see you guys deservingly on the Main Stage. I really wanted to thank you for taking the time. I want to encourage readers to purchase and check out the new live album hitting the shelf this Memorial Day Weekend. I really look forward to raging with you guys at the festival. JL: We’ll thank you so much for taking you time and energy with the website and we really appreciate it. GW: It’s a pleasure of mine. Until we meet again take care.